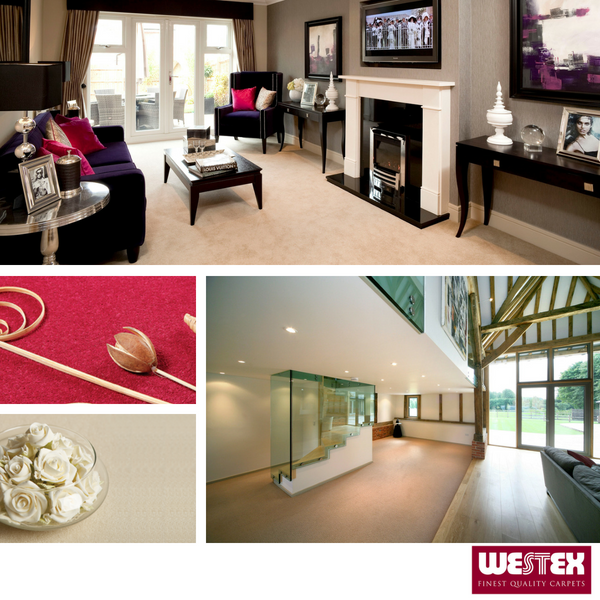 Westex are a UK carpet manufacturer who have been producing exceptional carpets for over 35 years. Combining excellence and performance with luxury and appeal, Westex supply some of the finest 80/20 and 100% Wool Carpets on the market today. Westex have one of the largest colour banks across their ranges so the choices are not limited in any way. However to take things one step further, if you are looking for a specific colour to match your interior, then the Westex Special Dye Service maybe ideal for you. This hallmark service enables consumers the option to send in a sample of paint, fabric or a soft furnishing to Westex and they will dye the carpet to match the colour sample. When it comes to sustainability with carpet then look no further than Wool. Wool carpets are naturally engineered to create beautiful, durable and desirable carpets that will last for years to come. Reducing heat loss, condensation and noise are some of the key advantages to owning a wool carpet along with the big advantage of the natural springiness to wool which will reform after compression meaning the carpet will keep looking new for longer. Visit either the Newbridge Lane or Heaton Moor showroom today and see the what all the fuss is about!